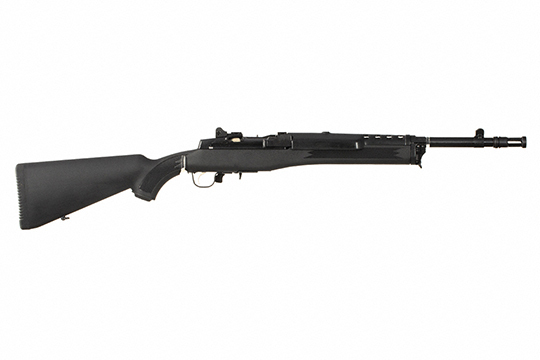 For decades the family of Ruger Mini-14 and Mini-30 rifles have been the choice for applications ranging from the farm and ranch to the deep woods or personal defense for law enforcement, security personnel and individuals. Their short barrels and overall length make them favorites in any application where reliability, maneuverability and ease of handling are priorities. The Mini-30 Tactical Rifle comes with a 20 round magazine, features a black synthetic one-piece stock, blued finish, flash suppressor and a blade front and adjustable rear sight. For applications where a compact rifle is desired, the Mini-30 Tactical Rifle will deliver! + Informal Recreation Shooting Backyard clays, tin cans, spinning/swinging targets, water jugs, etc. + Practical/Combat-Type Shooting A set of shooting sports where the competitors unite the three principles of precision, power and speed, by using a firearm of a certain minimumcaliber to score as many points as possible during the allotted amount of time with penalties for inaccurate shooting. + Metallic Silhouette Metallic silhouette involves shooting at steel targets representing game animals at varying distances, seeking to knock the metal target over. + International Position Shooting International rifle events in three positions are conducted with an equal number of shots fired from the prone, the standing and the kneeling positions.